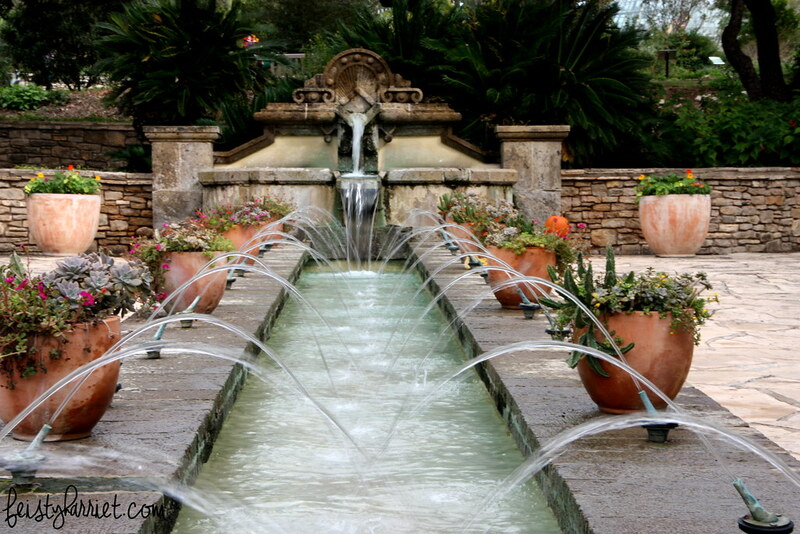 Last month I went to San Antonio for a work conference and managed to squeeze in plenty of wandering. Blue Eyes lived in Houston for a few years and fell in-love with Texas, so he was pretty stoked to join me for the weekend after my conference and explore a little. 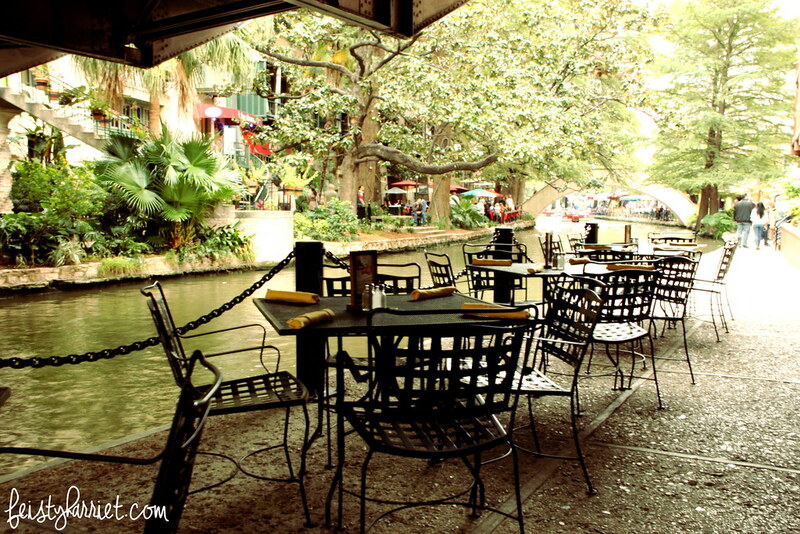 We stayed right on the Riverwalk a loop of the San Antonio River that is lined with shops and restaurants and bars. I wandered the entire loop several times, taking photos and enjoying the delightful weather. The restaurants have all appropriated part of the not-entirely-huge sidewalks outside their space, and in the evenings it was crowded with people and sounds and delicious smells of Mexican food and BBQ (not usually together, thank heavens). 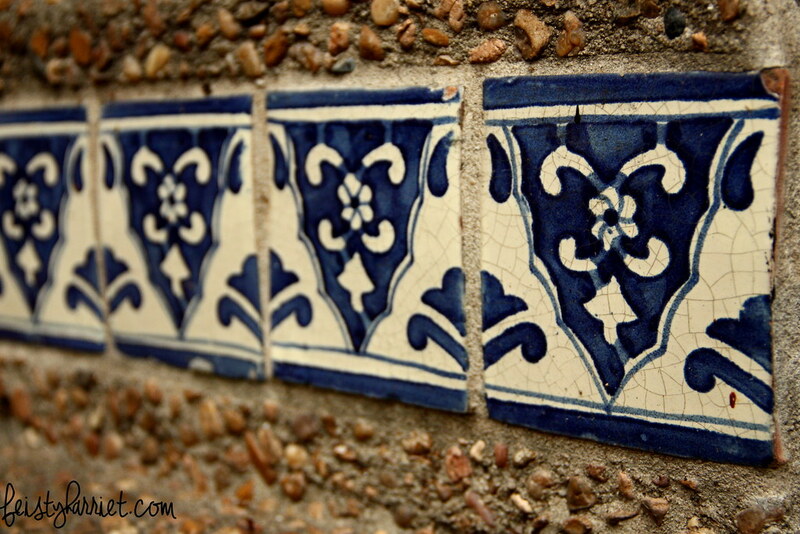 I have a thing for these painted tiles, they were inset in everything and I just love them! 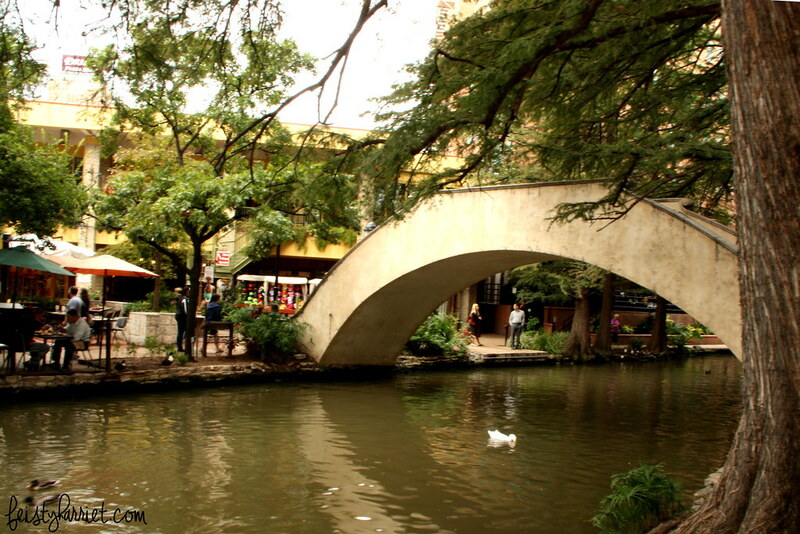 Bridges every so often let you criss-cross the river, darting back and forth for the best Mexican food and tchotchkeys. The Japanese Tea Gardens are built in the pit of an abandoned stone quarry, they are quite small, but absolutely gorgeous. 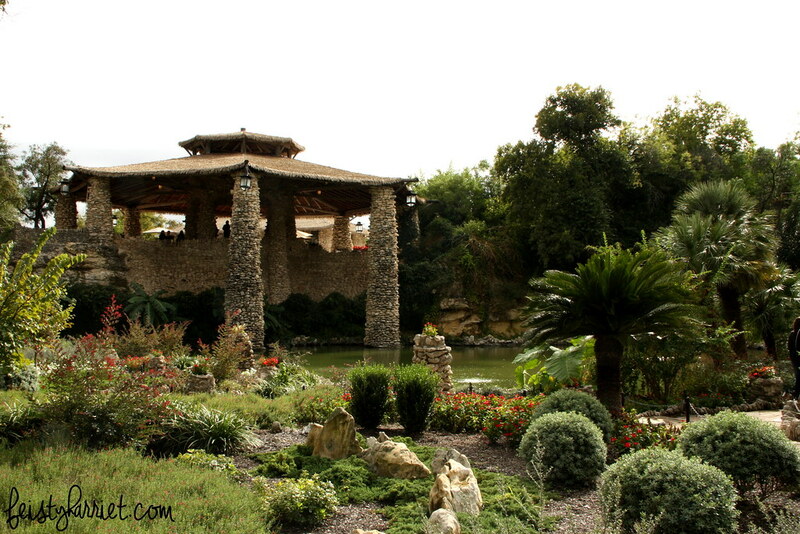 The water is a super healthy looking green (ahem), but the pathways and gardens are charming, the large pagoda is built of quarry stone and brings a little bit of Texas to traditional Japanese architecture. Between my conference ending and Blue Eyes’ flight landing, I spent a blissful afternoon wandering around the McNay Art Museum. Once a residential mansion, it’s owner left it to be a wonderful art museum with an expansive sculpture garden. This museum has a little bit of all the painters I love, and it was so fantastic to just wander through the rooms at my own pace, swooning over the pieces I loved without worrying that I was holding anyone up. 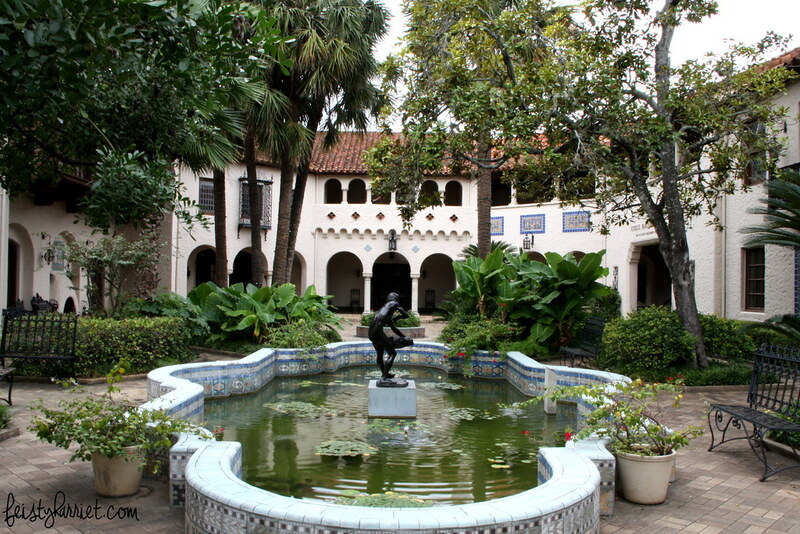 The building has this lovely central courtyard smothered in jungle and pretty fountains. The museum was practically empty the day I was there, and I loved being able to just sit and detox a little bit. 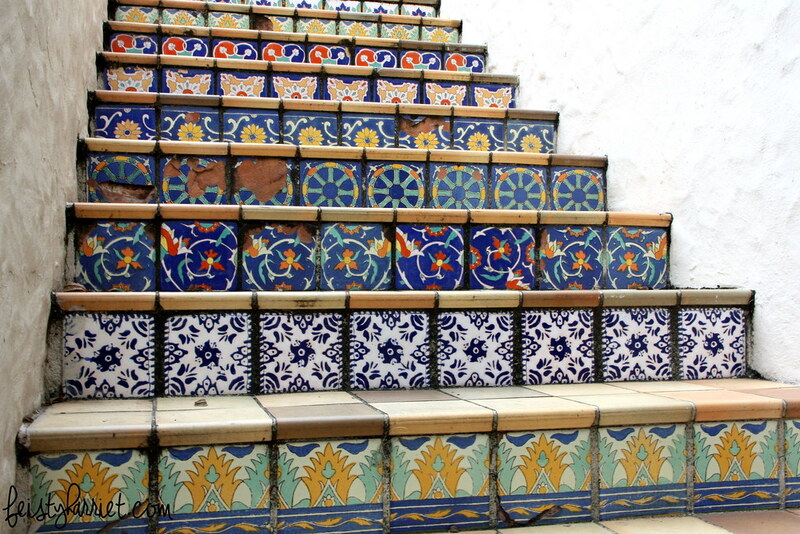 Again, with the Spanish tiles. I just adore them. Before Blue Eyes and I left for the airport we decided to squeeze in a little Texas BBQ and a stop at the Botanical Garden. 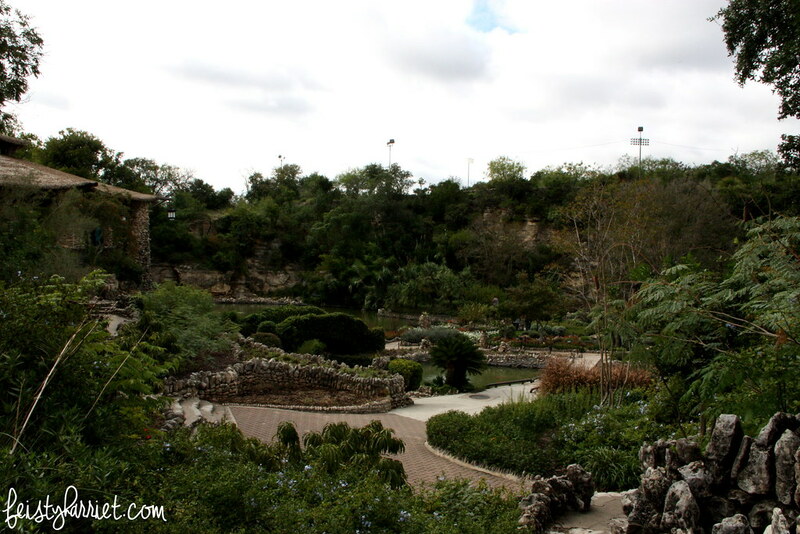 They have extensive grounds and have divided it up into sections that represent all the different natural climates and geographic locations in Texas. So, there is the arid desert, and the humid jungle-y bits, and the plains parts, and the coast. 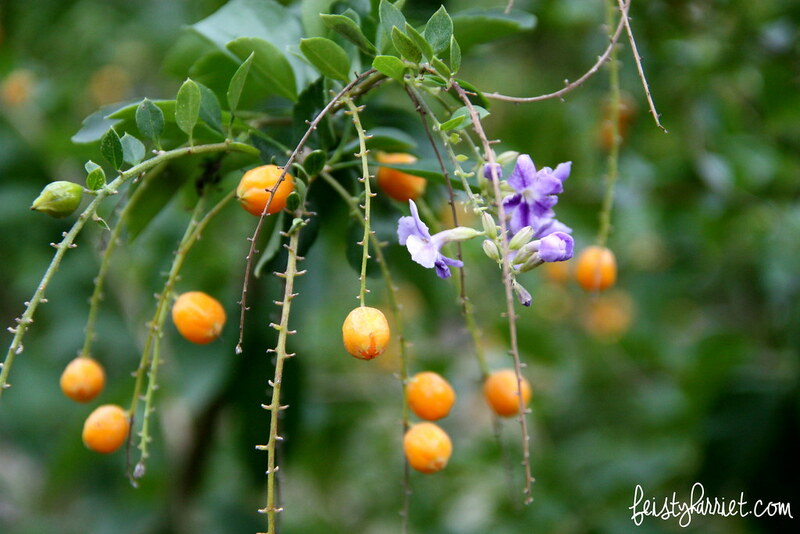 These tiny little orange blobs were one of my favorites, I can’t believe they come from purple flowers! Blue Eyes was content to wander with me for a few hours, taking ten million photos and trying to figure out how I could copy some of the fantastic cacti gardens for our yard. 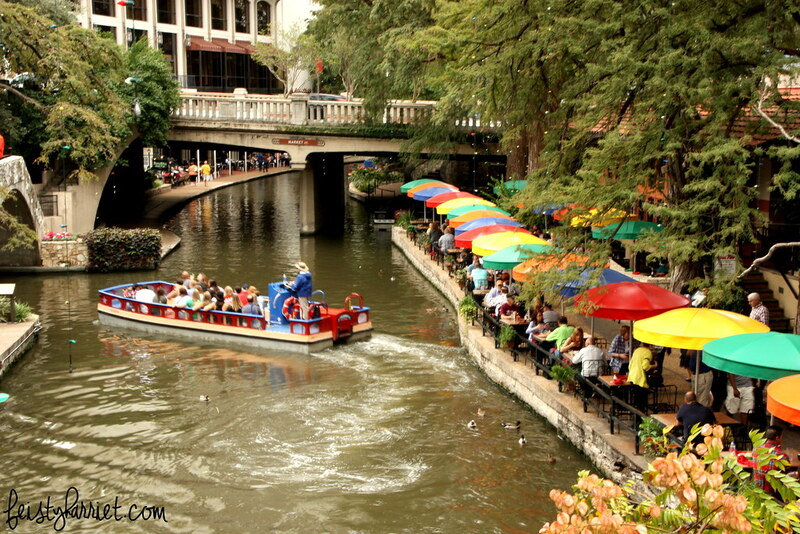 Overall I really loved San Antonio, although I do not think I’d be able to stand the heat and humidity of the summer. But, it was a lush, gorgeous, interesting city to visit and we managed to squeeze in a bunch of mini adventures! 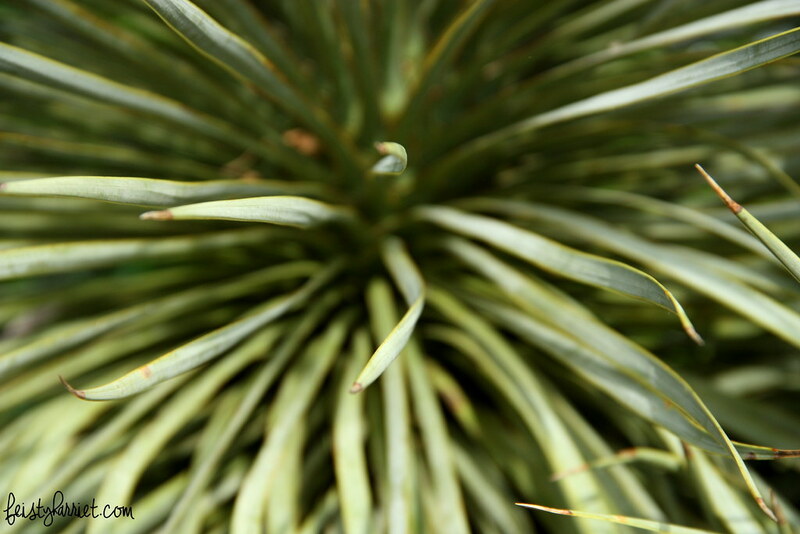 More photos from San Antonio on Flickr. 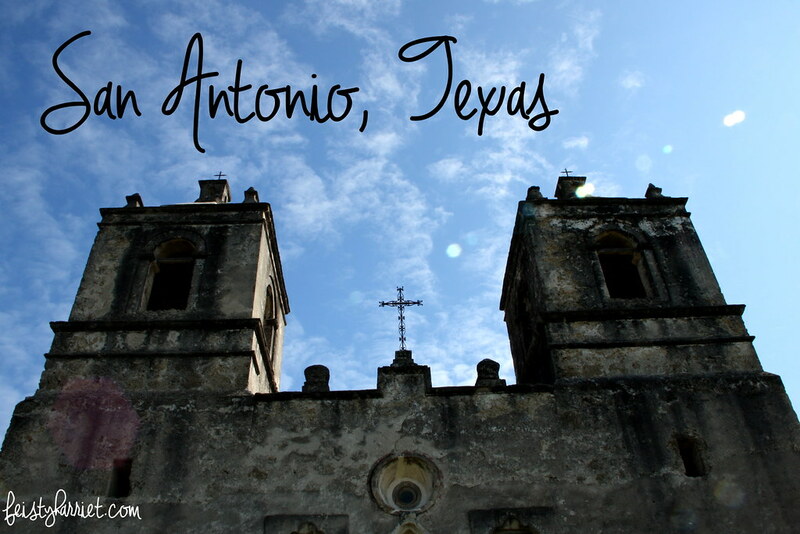 This entry was posted in Far Off Places, Photography and tagged Photography, San Antonio, Texas, Travel, Traveling by Feisty Harriet. Bookmark the permalink. I went to a conference in San Antonio a couple years ago. I didn’t get to see too much of the city, but did the riverwalk and stopped by the Alamo, where I realized that my part-American-ness did not provide any emotional connection to a clearly emotionally charged Texan event. Confession: I appreciated the history and sentiment at the Alamo…but I am not connected to it in any emotional way. So, there’s that.